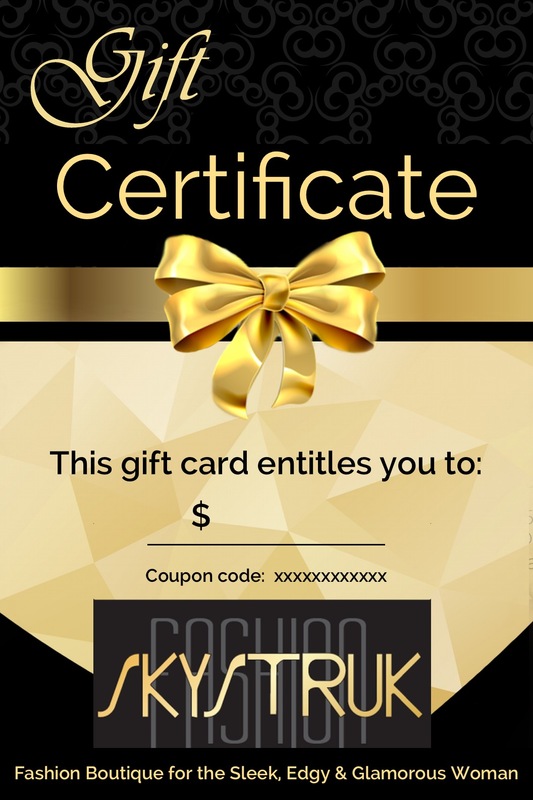 SkyStruk Gift Card is a beautiful way of saying you care! Celebrate the holidays and give the gift of SkyStruk Fashion & Accessories. We will both email and mail you gift card with code.